It's been another extraordinary campaign for the finest player the world has ever seen, and here's your chance to enjoy some of the greatest moments all over again! The news that Leo Messi is staying at Barça until 2021 comes after yet another season in which the Argentinian has posted some absolutely stunning performances. He’s already won everything there is to win at the club, and yet he never stops hungering for more – and the 2016/17 campaign produced yet another series of highlight matches. We’ll never tire of watching these displays over and over again, and so here’s another chance to be dazzled by the Messi magic. At the Vicente Calderón in the Copa del Rey final, Leo Messi gave a veritable masterclass against Alavés as he led the team all the way to a third title in a row. Messi’s work of art in the last game of the league season against Eibar was a joy to behold as he took on five opponents before finding the net in style. A Clásico at the Bernabéu is the kind of occasion on which Messi thrives, but has there ever been a greater moment than his last minute goal, his 500th for the club no less, to seal a fabulous victory? An unforgettable show in the league derby against Espanyol produced a host of wonders, including one goal and two assists. 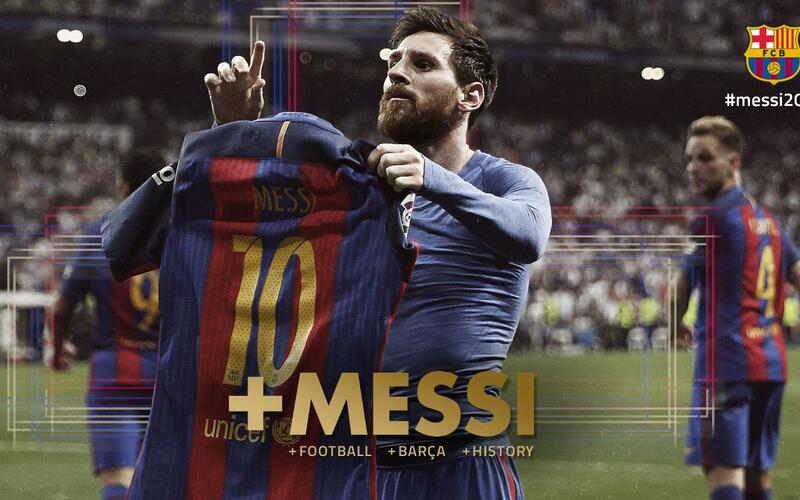 This compendium of Messi magic will leave you gobsmacked. The very best of the greatest player on the planet for your viewing pleasure!